We understand that pets are part of the family. 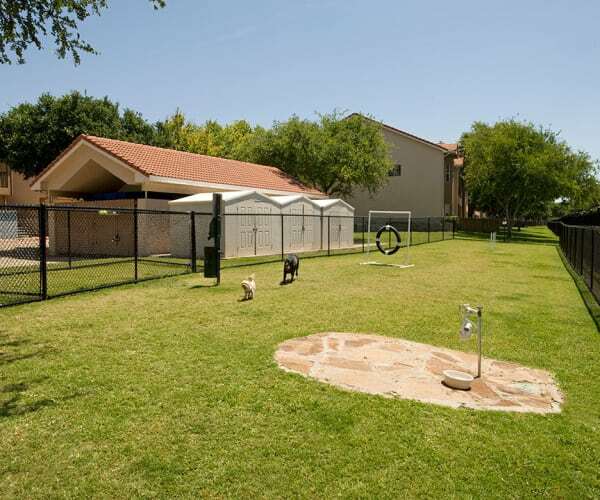 That's why your pets are welcome to join our community at Villas of Preston Creek. Pets welcome by breed not weight. At our discretion, only the following animals are permitted in an apartment unit. Cats must be at least 9 months old, housebroken, and spayed or neutered. Dogs and puppies are restricted by breed, not weight and must be spayed or neutered by 12 months of age. No more than two animals are permitted to reside in an apartment unit at any time. Birds must be caged at all times. Animals must not create nuisance noises. No substitutions are allowed. No exotic animals, amphibians, arachnids, insects, reptiles, rodents or rabbits are permitted, except turtles.